I got a copy of this book from the author in exchange for an honest review – thank you very much! As it is an anthology of short stories, I am presenting them one by one. I promise to be short. Mrukk of the Democ’see tribe is hunting deer for his people. By accident he finds a cave with weird ice protecting the entrance. The cave proves to be full of strangely clad, dead people. What will he do? It started very promisingly but something lacked in this story – maybe a better, more pronounced ending would do the trick? It was also too short. Southern Arizona. Elderly sister Gwen lives in the mission of San Arturo de las Islas as one of three elderly nuns left in the convent. One day she has three visitors – three bikers riding proudly their Triumphs. One of them, called Lance is her former lover; actually she had cheated on her husband with him. A battle is waiting for them all and he needs a blessing and a special weapon. Rings a bell? It was really good – a story with a twist so obvious that you couldn’t notice it even if it was right before your eyes from the very beginning. I would love to meet those bikers again! A letter from Hans Münster to Frau Steinbach explaining the circumstances of her husband’s premature but state-approved death. Fritz Steinbach once saved Hans’s life and got an Iron Cross for it. Unfortunately Hans wasn’t able to return the favour. Why? One word: bureaucracy at its finest. That was great. Actually I would like to read a novel based on this short story. I loved it from the beginning to the bitter end with all the details thrown in-between. A well-thought, very original premise with a wicked punch in the shape of final words. Fantastisch! Toll! An ex-janitor and a former Ranger with PTSD has to kill Jane Keller. Jane is a ten-year-old girl with special powers – she can bake you with a lightning and smile all the way through the process. She must be evil, right? A solid story with a seriously mangled protagonist (?) who wants to kill a very dangerous little girl. I enjoyed it, especially the fact that the ending was properly ambiguous. University of California, Berkeley Headquarters, Search for Extra-Terrestrial Intelligence (SETI). Doctor Jill Nogumi is informed that their primary data collector, the radio telescope in Arecibo, is being closed down. She doesn’t take it well but finally, in the last possible moment, the aliens make a contact. Will it be enough to save the project? Will the humans respond? It was a good and intelligent story, without easy scenarios or childish ‘embrace the aliens’ scenes even though some parts of it read like a history textbook. A chain smoker is dying of cancer. He is a Seminole. One day he has a Dream Visit from one of his ancestors so he decides to go to the Everglades one more time. Will that trip save his life? What will he find among the swamps? It was so-so, definitely not as breathtaking as some of the previous stories because not exactly surprising. The story definitely missed a twist or two. In the middle of a war between Russians and Finns Karpov gets a new type of launcher. Will it help him survive? Well, nothing is certain when you are stumbling on a dragon. Meh. Definitely too short and I wanted more dragons. The narrator, not a very bright man, works as a night shift short order cook for Harry’s Roadside, not the best eatery around. One night he has a very strange customer and then three bikers arrive, along with the local sheriff. Their battle is going to be epic. Lancelot, Percival and Gawain strike again. I did enjoy their reappearance because I liked The Last Battle well enough but the ending…well, let me only say they could do with adding another buddy to their throng. II WW. Donald Helling, a.k.a. Bump is one of the best US army medics around. His super-human healing skills are going to be tested at Bastogne. It didn’t work for me, not really. Seemed neither here nor there. Storglaciaren, Sweden. Marco, a glaciologist, reminds himself of a tragic accident on ice which was fatal for one of his colleagues. That day he also found a mysterious tunnel with a very old mummified body. Now he is looking for that tunnel again. A story with a surprising twist. I liked it. A very short scene from a holy war between Islamists and Christians in Nigeria. Kara is a small girl with an unusual gift – she can draw and make her drawings come true. She is also a pawn in powerful hands. Will she break free? The story reminded me of The Girl with All the Gifts. It was a good story although its ending was grim and it could be hardly called original. The longest story in the anthology. A group of men are escaping from the police after robbing a bank safe in Antioch. One of them, Jimmy-Lew, is hurt so they stop at a hotel in a small town called Night’s Edge. The hotel is surprisingly posh, with marble floors, dark wood paneling and a lot of brass inside. The rooms are costly but the robbers have plenty of money so they take four of them, second floor in a row, and try to take the bullet out of Jimmy-Lew’s arm. A big mistake. It wasn’t bad but I expected an original twist there somewhere and instead I was given a vampire story with all the usual trimmings plus the Grand Duchess Anastasya Romanova as the vampire hunter. Not impressed. Out of 13 short stories four didn’t work for me at all and one was so-so. It leaves eight great novellas – not bad! I am definitely pleased I’ve accepted this one for a review; still it would be nice if all the titles were featured in the table of contents. 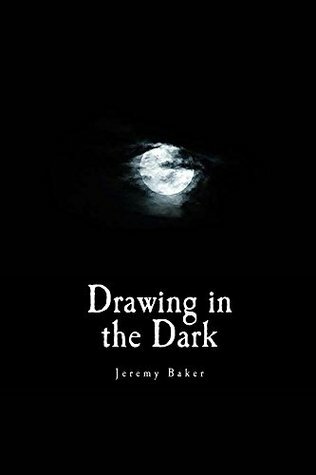 This entry was posted in alternate history, Arthurian legends, book review, contemporary, fantasy, historical, sci-fi and tagged anthology, drawing in the dark, jeremy baker, short stories. Bookmark the permalink. I’d rather just buy the short stories individually… But not bad for a collection, not by a long shot. Some of them were really good! and where is your kitten?